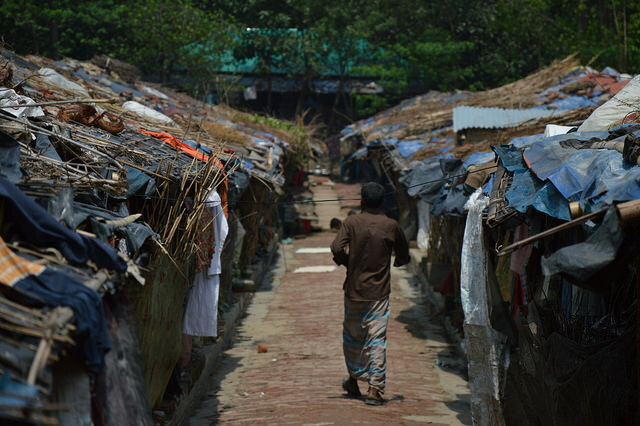 The NGO supports Caritas Bangladesh's emergency plan with an injection that will help 70,000 displaced people. 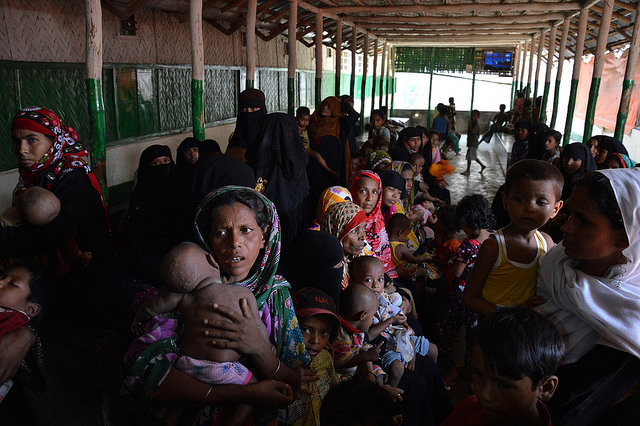 Caritas Spain has responded to the exodus of Rohingya refugees from Myanmar, the former Burma, by sending 100,000 euros to help 70,650 refugees who have been forced to leave the country and cross the border into Bangladesh. 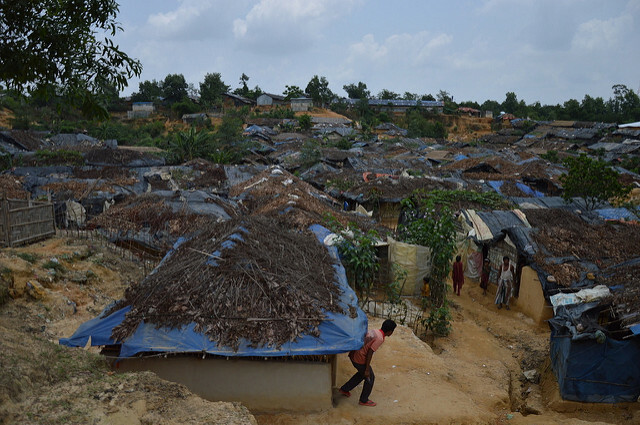 In this way, the charitable agency has answered the emergency call of its counterpart in Bangladesh (Caritas Bangladesh) and has supported the aid plan to assist thousands of displaced people fleeing violence and ethnic persecution. With this humanitarian intervention, the NGO plans to concentrate on the distribution of food and basic necessities such as rice, pulses, oil, salt, sugar and water. Since 25 August, more than 300,000 Rohingya have fled violence across the border into Bangladesh. According to Caritas, who claims to have spoken with witnesses brought in by the Rohingya, the Burmese army along with civilian groups had attacked and set fire to the houses of this ethnic minority and, furthermore, the Burmese authorities have prevented any access to their areas. It all began in response to several coordinated attacks on the police by the self-named Arakan Rohingya Salvation Army (Arsa). At that point, the Government of Myanmar decided to break into Rakhine State Rohingya homes and cause a mass exodus. Bangladesh, with more than 160 million inhabitants, has been overwhelmed by refugees and by giving an adequate humanitarian response without the help of the international community. The emergency plan for Caritas Bangladesh will last one month and has been launched following an assessment in coordination with the UN Food Security Cluster. According to the Government of Myanmar, the Rohingya are a Bengali ethnic group and should therefore belong to the State of Bangladesh. However, the Rohingya have been settled in the State of Rakhine (Myanmar) for hundreds of years. In 1982, the Burmese authorities passed a law requiring ethnic minorities to prove that they had been living in the country from before 1823 in order to obtain nationality. This law currently denies the nationality of 1 million Rohingya Muslims, who are therefore defined as stateless people. This condition means that the Rohingya endure a number of restrictions such as the use of a temporary identification cards, lack of property rights, the obligation to apply for permission to marry, the limitation of the number of children and no right to education of any kind. Their stateless status makes them particularly vulnerable to mafias and human traffickers when they have to move from one country to another to seek refuge. Moreover, under the laws of Thailand and Bangladesh, the closest countries to Myanmar, the Rohingya are considered illegal because they are signatories to the 1951 Geneva Convention Relating To the Status of Refugees and cannot formally apply for asylum.